Fred Penney Vocals, Frank Kearns (aka Frank Washington) Guitar, Dave Boardman Bass and Eric Briggs on Drums.The Myster Men recorded a 3 track demo that was produced by U2’s Bono, with Bono on backing vocals the tracks are; No More Idols, Fantasy Dream, I Should Have Known Better. In 1982 Fred Penney, Eric Briggs and Dave Boardman went their separate ways and made space for a New Myster Men line up with Peter Delaney on Vocal, Tony St Ledger on Bass Guitar, Noel Mc Murray on Drums and Frank Washington (Frank Kearns) on Guitar. The Myster Men now in Dublin played residencies at The Magnet Bar, St.Lawrence Hotel, The Belvedere Hotel where they gained a strong Dublin northside following. Frank Washington,Noel Mc Murray, Pete Delaney and Tony St Ledger in action. Tommy Delaney managed the band at the start of the new line up. 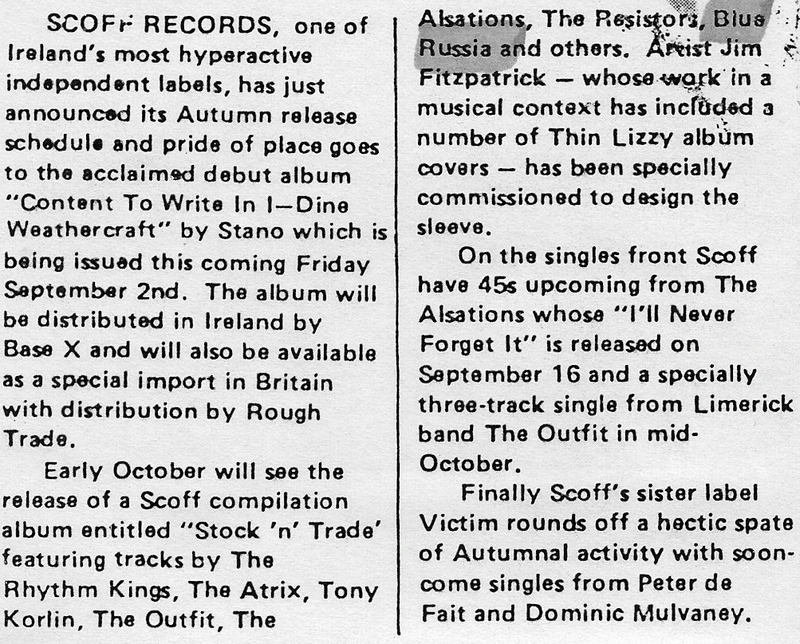 Tommy’s management in various guises throughout the bands career and continued from Dublin, The German tour and right to the end as Blue Russia in London. After extensively giging the Dublin circuit and working extensively in their purpose build studio in The Saint Francis Xavier Boys Club in Upper Sherrard Street the band created a new set of new material. The Myster Men were invited to do a show case tour in Germany by EMI in 1983 playing dates in Hannover,Uelsen,Kiel,Suldorf and Hamburg where they record Russia Around their new single this record was released under Blue Russia. 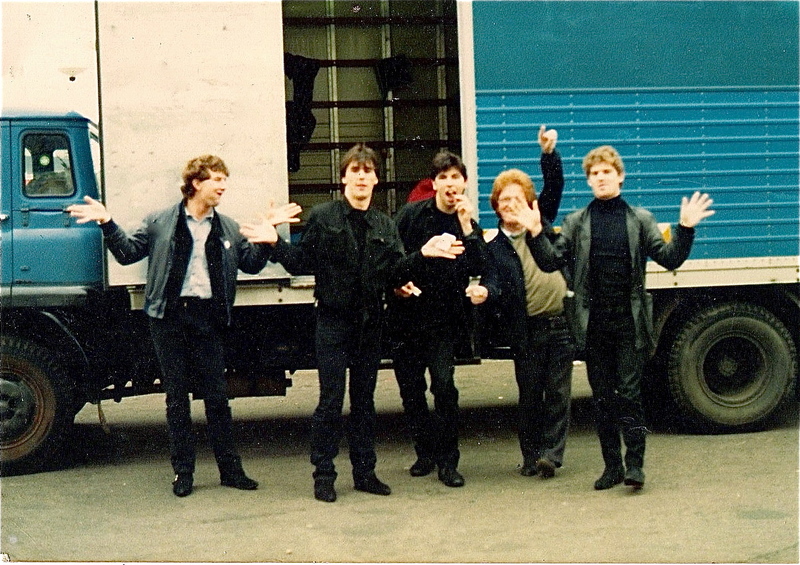 Noel Mc Murray, Tony St Ledger, Frank Washington, Tonny Delaney (band manager)and Peter Delaney hit the road for Germany in 1983.Paul Campion and Tommy took turns at the helm. Onstage sound for this tour was provided by Tim Buckley later to work with U2 and out front sound was by Tim Martin, one of Ireland’s leading recording producer/engineers who has worked with major irish recording artists from The Waterboys, Clannad, The Dubliners, Aslan, The Frames, Thin Lizzy, Paul Brady,The Commitments,Mary Coughlan, In Tua Nua and Christie Hennessy.Tim and The Myster Men forded a trusted and special relationship and Tim was included by the band on the German Tour to engineer the Russian Around and She Never Came recordings in Hamburg these session were funded by EMI Germany. 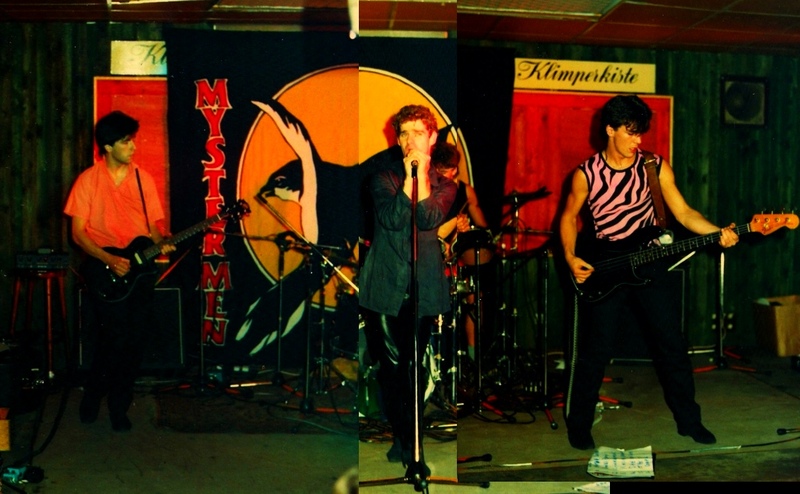 The Myster Men German Tour perfroming live at Klimperkiste in 1983. The Myster Men Peter Delaney, Frank Washington,Tony St Ledger and Noel Mc Murray. The Myster Men. 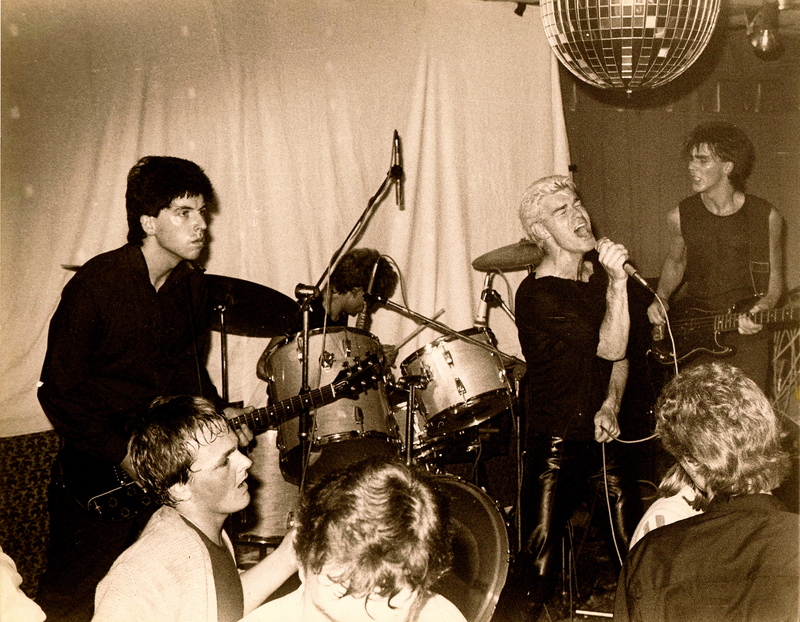 Live at The Klimperkiste Club Uelsen Germany in 1983. The Myster Men are Pete Delaney,Frank Washington,Noel Mc Murray and Tony St Ledger. This live recording was captured though the sound desk by Tim Martin. 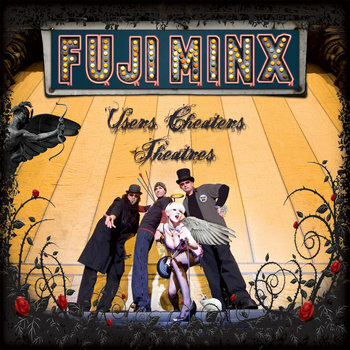 This recording was digitally restored by Tony St Ledger in 2013. 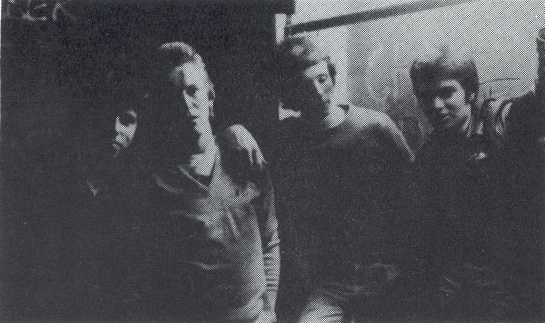 The band returned for Germany and after a short spell in Dublin set out for London where soon after changed their name to Blue Russia. 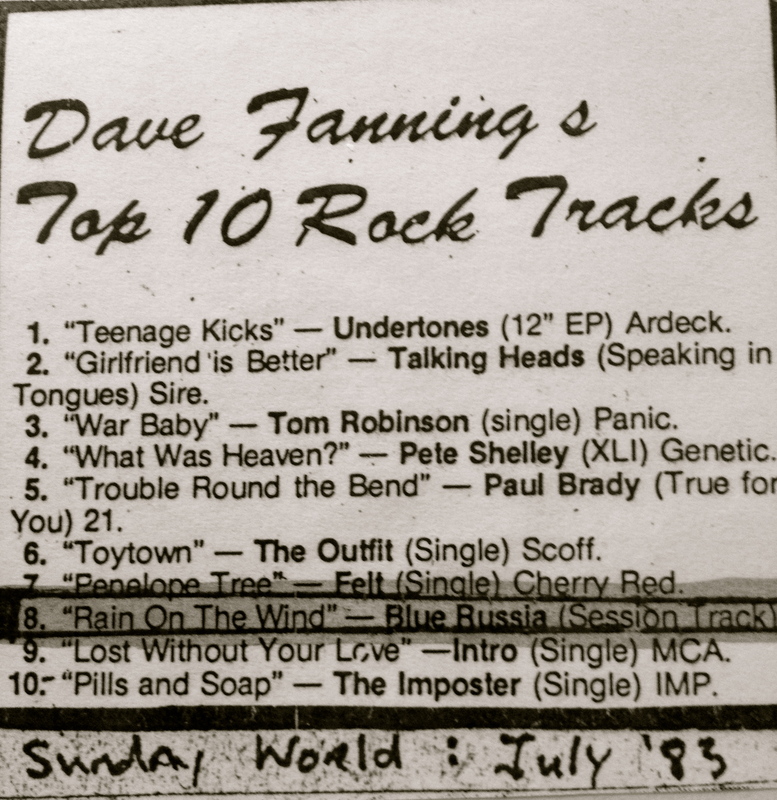 Blue Russia recorded sessions for The Dave Fanning show on 2FM where Fanning was later to put one of the tracks from the recordings Rain on The Wind produced by Ian Wilson onto his top 10 rock tracks from that year. Other tracks from the session included the well loved European Limousine. Frank Washington retured to Dublin where he formed Cactus World News and establish Salt Recording Studios and Rock School pursued various other musical projects. Scottish guitarist Jim Miller joined Blue Russia from 1985-86.